This is a unique concept of Vedic Astrology, which makes it more funny and interesting. So, all the houses are given some portfolio, like 1st house is Self, 2nd House Wealth, 3rd House Efforts etc. Now, to know about the wealth of a person, we need to see 2nd house, but as per Bhavat Bhawam concept, we should see 2nd house and 2nd from the 2nd as well to see the wealth of person. Confused?? Let me make it simpler. Bhavat Bhawam of 2nd house (Family, Wealth etc.) - look for 2nd from the 2nd house, i.e. 3rd house. Bhavat Bhawam of 3rd house (Efforts, Communication Skills etc.) - look for 3rd from the 3rd house, i.e. 5th house. Bhavat Bhawam of 4th house (Home, Mother etc.) - look for 4th from the 4th house, i.e. 7th house. Bhavat Bhawam of 5th house (Education, Children etc. ) - look for 5th from the 5th house, i.e. 9th house. Bhavat Bhawam of 6th house (Debts, Diseases, Enemies etc.) - look for 6th from the 6th house, i.e. 11th house. Bhavat Bhawam of 7th house (Marriage, Spouse etc.) - look for 7th from the 7th house, i.e. 1st house. 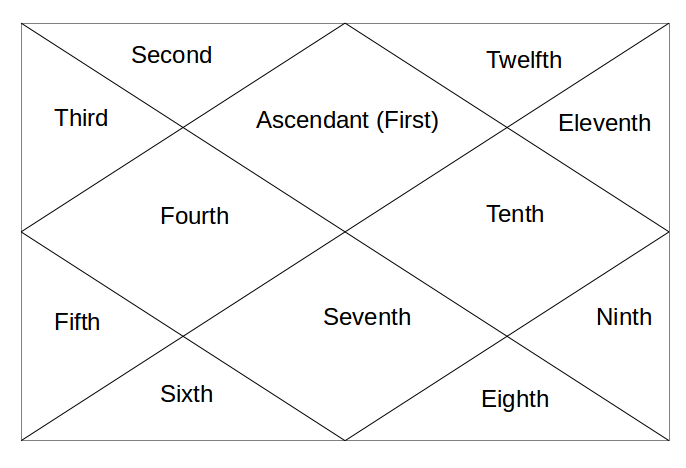 Bhavat Bhawam of 8th house (Occult, Secrets etc.) - look for 8th from the 8th house, i.e. 3rd house. Bhavat Bhawam of 9th house (Higher Knowledge, Religion etc.) - look for 9th from the 9th house, i.e. 5th house. Bhavat Bhawam of 10th house (Father, Work Environment) - look for 10th from the 10th house, i.e. 7th house. Bhavat Bhawam of 11th house (Gain, Income etc.) - look for 11th from the 11th house, i.e. 9th house. Bhavat Bhawam of 12th house (Foreign Lands, Spirituality etc. ) - look for 12th from the 12th house, i.e. 11th house. Tomorrow - A similar type of interesting concept, which may make you admire the brain of Sage Parashara. It is known as House to House Concept. @ jack - yes. it is 9th house - 3rd child. Hye sir. I have two wives, first wife has two children. Second wife has one n tatz the last child. So for the last child as third seen from 9th house? @ Shakti - 1st child is 5th house. For 2nd child u have to consider 5th and 7th both as 5th house still rules uterus area. 1st child is seen from 5th house. 2nd child is seen from 7th house? ?